Buyer inspection period and SPDS uncovers hidden vulnerabilities. 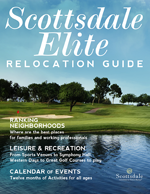 Two reports reveal critical information about Scottsdale luxury real estate that can leave Scottsdale luxury home buyers vulnerable without guidance from a Scottsdale exclusive buyer’s agent. The Seller’s Property Disclosure Statement (SPDS), also affectionately known as the “Spuds” Report, is a legal document stating what the sellers know about their property and the condition of their home. Another report, the Comprehensive Loss Underwriting Exchange, or CLUE, is a property insurance database. The CLUE Report shows all claims made on Scottsdale luxury real estate in the past five years. But there are some caveats. Most often these reports are facilitated by the listing agent who, by default, represents the seller. If the listing agent also happens to represent the Scottsdale luxury real estate buyer, then seller-favored representation might just place the Scottsdale luxury home buyer at risk, because the needs and interests of the buyer might not fully be considered in favor of the seller. And sometimes the CLUE Report isn’t available. Will this missing information impact the sale in any way? And who holds whom accountable for full disclosure to the buyer? The Scottsdale exclusive buyer’s agent plays a critical role in ensuring accountability and delving deep to uncover all possible information to protect the best interests of the Arizona luxury home buyer.